Caviidae have from 6 to 9 different species, the most familiar is the C. Porcellus, which is the common guinea pig. The very thought of showing guinea pigs creates titters, piques curiosity and has even been known to cause the corner of the mouth of the sternest of Customs Officers to turn up in a little grin. Yes – there are shows for guinea pigs. A lot of people have no concept of how a guinea pig would be shown. They are not on leads, like dogs or larger livestock. They do not go through repertoires like obedience trained dogs. Basically guinea pigs, or cavies as they are known to the fancy, are judged on body shape, condition and coat. There are no less than 16 breeds of cavies recognized by the OCC (Ontario Cavy Club) and the DRCBA. 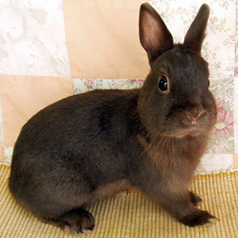 The cavy breeds are all basically the same size and shaped cavy but with different coat types, lengths and patterns. The recognized breeds are as follows: Abyssinian, Satin Abyssinian, Boucle (Alpaca), Coronet, Crested, Satin Crested, Merino, Peruvian, Satin Peruvian, Silkie, Satin Silkie, Smooth Coat, Satin Smooth Coat, Teddy, Satin Teddy, and Texel. All breeds can be shown in 24 colour varieties. The ‘self’ varieties are all one solid colour – beige, black, buff, chocolate, cream, lilac, orange, red, white. 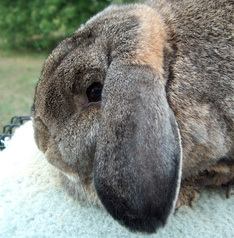 ‘Agouti’ varieties have “banded” hair with the base and the very tip of the hair shaft being either black, chocolate, lilac, or beige. There is a different band of colour between the base and the tip of the hair shaft which can be either red, orange, buff, cream or white. The belly of an agouti cavy is the same colour as the intermediate colour on the hair shaft between the base and the tip. These different agouti combinations of colour are grouped into three varieties for showing – dilute agouti, golden agouti and silver agouti. Not to confuse the issue, there is also a ‘solid agouti’ variety which are very similar to the agouti variety but do not have the lighter belly colour. The three varieties of solid agouti are – solid dilute, solid golden and solid silver. ‘Marked’ varieties are Dalmation (spotted similar to the dog breed), Dutch (marked like the Dutch rabbit), Himalayan (marked similar to a Siamese cat), Parti (patched with two or more colours) but not including the Tortoiseshell (patched with red and black) or the Tortoiseshell and White (patched with red, black and white).There are two other colour varieties – roan and brindle. Brindle has two self colours intermixed – white cannot be one of the colours. Roan is any self (except white) or agouti or solid agouti coloured hairs interspersed evenly with white. Cavies are shown in three age/weight groups – Senior, intermediate and junior. Seniors are over six months with a minimum weight of 32 ounces. Intermediates are four to six months old weighing between 32 and 22 ounces. Juniors are under four months of age weighing between 22 and 12 ounces. There are classes for boars and sows. For example if your cavy is a Smooth Coat, is black, is over six months of age and 32 ounces in weight and is a sow, she would be shown as a Smooth Black Senior Sow. On show day, cavies are brought to the judging table and placed in judging coops (except for long coated cavy breeds which are presented to the judge on a specially made show board). The judge then examines each cavy for disqualifications, eliminations, and quality. The cavies are placed within their class and first place winners go on to compete for the best of their colour variety. Then the best of each colour variety goes on to compete for the best in that breed. After all the breeds are judged, all the best of breed winners return to the judges table one last time for the selection of best in show. Initially this sounds like a lot to have to know but after spending a bit of time around a judges table, looking at the animals in their different classes and speaking with other cavy show people, it all starts to fall into place. Its not that confusing at all and a lot of fun. You do not have to be a member of any club to show at a cavy show. You do have to be a member of the club putting on the show to compete for sweepstake points. 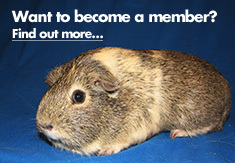 Your cavy does not need to be purebred or pedigreed to compete in shows. Cavies are judged on phenotype (appearance) not genotype (pedigree and genetic make-up). 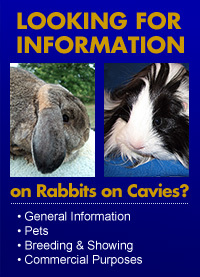 Cavies are not required by OCC (Ontario Cavy Club) or by the DRCBA to be ear tagged or tattooed to be shown. A coop number is assigned to each cavy exhibited which is then written on a little piece of surgical tape and stuck on the cavies ear for identification on the show table. Exhibitors write an exhibit (coop number) on a piece of surgical tape that is stuck on the cavies ear for indentification. 'What on where' he says! Cavies are brought to the judges table to be judged. A 'long hair' cavy has its 'show locks' wrapped. Long hair cavies are shown on showing boards.